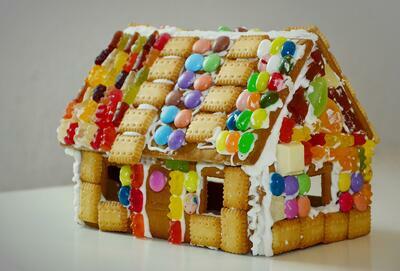 What better way to begin the holiday season than to build a Gingerbread House with your child? After listening to a seasonal story to inspire children’s imaginations, you and your budding engineer will be challenged to create a gingerbread house using an assortment of edible materials. This building activity introduces the fundamentals of engineering, while encouraging creativity and inventiveness. The morning is guaranteed to be deliciously entertaining! Designed for children ages 3-6, this event teaches that there is more than one way to solve a problem—and to have fun doing it, too! This 90-minute class is led by our expert Kindergarten teachers. This event is free and open to the public; perfect for families interested in exploring the possibility of a Peck education for their child. Due to limited space, early registration is highly recommended.